Secondments at three advertising companies will provide the EMMA with an overview of the practical issues and difficulties that arise in the process of advertising creation, thus paving the way to a more down-to-earth, skilled, and business-oriented analysis and consideration of the data. Publicis London is an award-winning UK creative agency with local and international clients including Renault, Procter & Gamble, UBS, Nestlé, Confused.com and Ferrero Rocher. 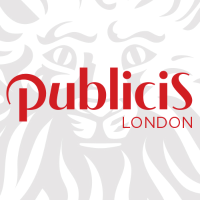 Publicis London forms part of the Publicis UK Group, which includes specialist sister agencies; POKE (digital), Publicis Chemistry (brand activation), Vivid Brand (shopper marketing) and Publicis Blueprint (content publishers), which are all part of Publicis Worldwide. VCCP is an integrated communications agency, founded in 2002 on the principles of simplicity, collaboration, un-preciousness and integration around ideas rather than channels. With offices in London, Berlin, Prague, Madrid and Sydney, VCCP produces award-winning work for clients including O2, Comparethemarket.com, EasyJet, Asda, McLaren and Coors Light. VCCP has been named IAB’s Digital Agency of the Year 2014 and Campaign’s Agency of the Year 2013. Expertise: advertising, social media, search, media, digital, data, branding, internal comms, content, invention, events, shopper, direct, health, luxury and business. ANUNCIOS is the first weekly Spanish advertising magazine (launched in 1980). It provides weekly current information and background themes for professional advertising and marketing, such as advertising, marketing and media, online news media, magazine publishing news. ANUNCIOS.COM is the website of the magazine advertisement. ANUNCIOS is but one of the information services offered by Publications Professional, which also counts on the following services: MarketingNews.es (Journal of marketing that selects the most important for the marketer news daily), Publidata.es (The most comprehensive market companies advertising, marketing and media, with more than 3,000 companies perfectly classified and updated directory), and AnunciosDigital (the digital edition of the weekly Anuncios). Specific training in cross-cultural branding and marketing from the perspective of the industry, and knowledge on actual working practices at the hosting industry. Critical assessment and evaluation of the use of visual and verbal modality in the creation and interpretation of advertisements. Development of the necessary expertise to advise creators of visual and multimodal discourses both in commercial (e.g., advertising) and non-commercial (e.g., educational, governmental) contexts about optimal use of non-verbal tropes and of word-image interactions more generally. Networking connections with other professionals across Europe.